Raw spirituality. Raw Dissent. Raw sexuality (well I can dream can't I....). No holds barred. As historical as the Samual Pepys Diary. But without the onanism or shagging of married ladies. Honest. It would appear that Joshua Tetley, the man who invented beer, successfully challenged Houdini to free himself from a padlocked metal cask full of beer, Tetley’s I presume. 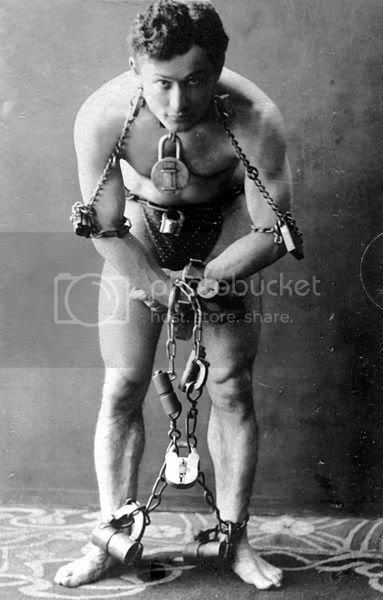 Houdini the man who had got out of the Tsarist Secret Fuzz “cassette” failed to find his way out of the barrel. Cheers! Don't You See That I! Am Really Worth A Try! I am an honest decent human being.